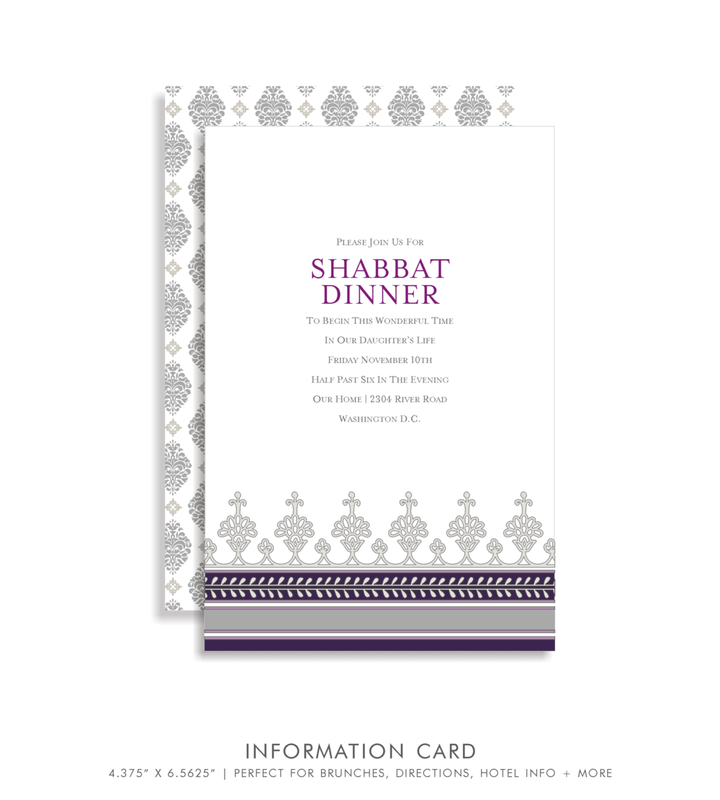 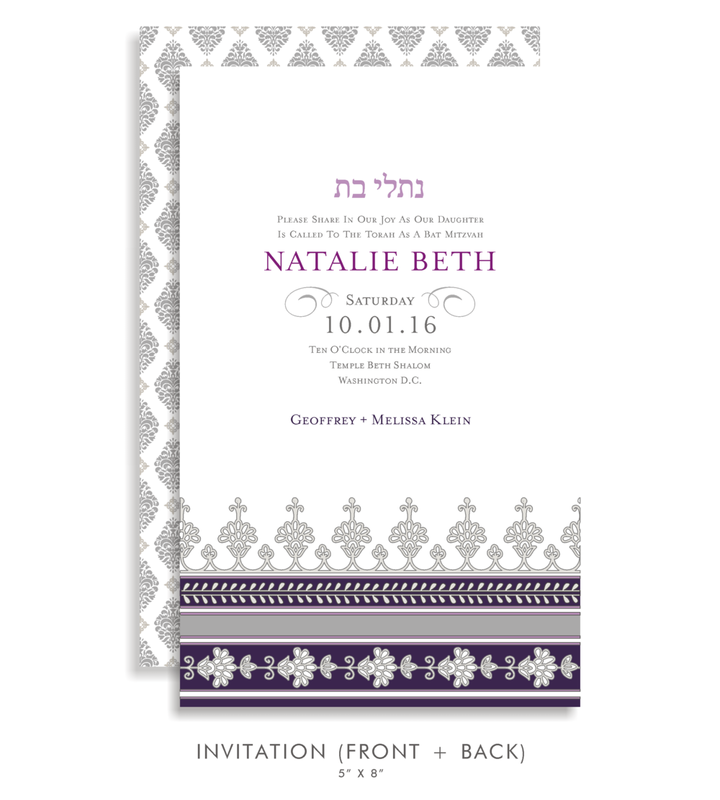 Natalie Beth (Suite 5024) Purple and Grey Bat Mitzvah Invitations — Bar Mitzvah Invitations & Bat Mitzvah Invitations by Sarah Schwartz Co. 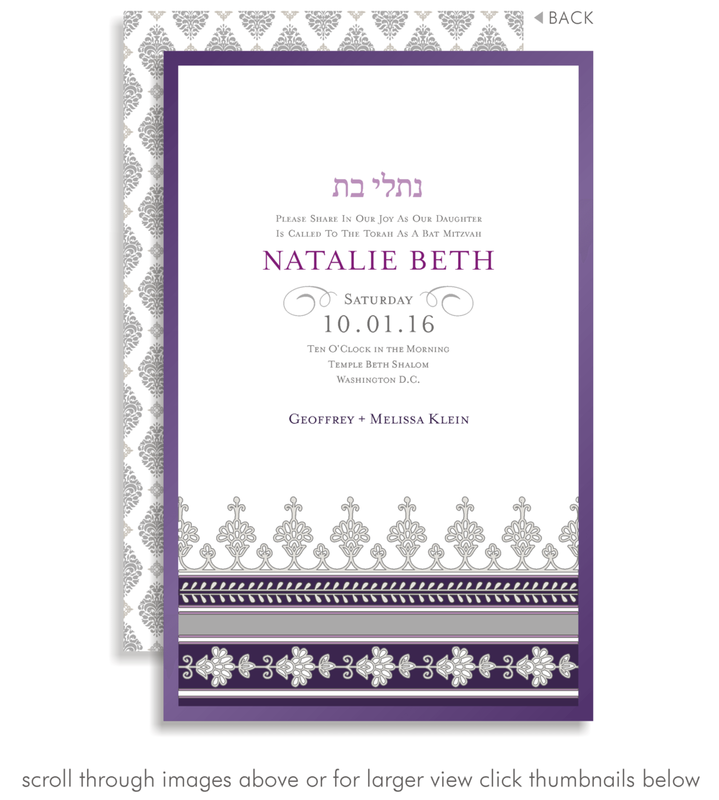 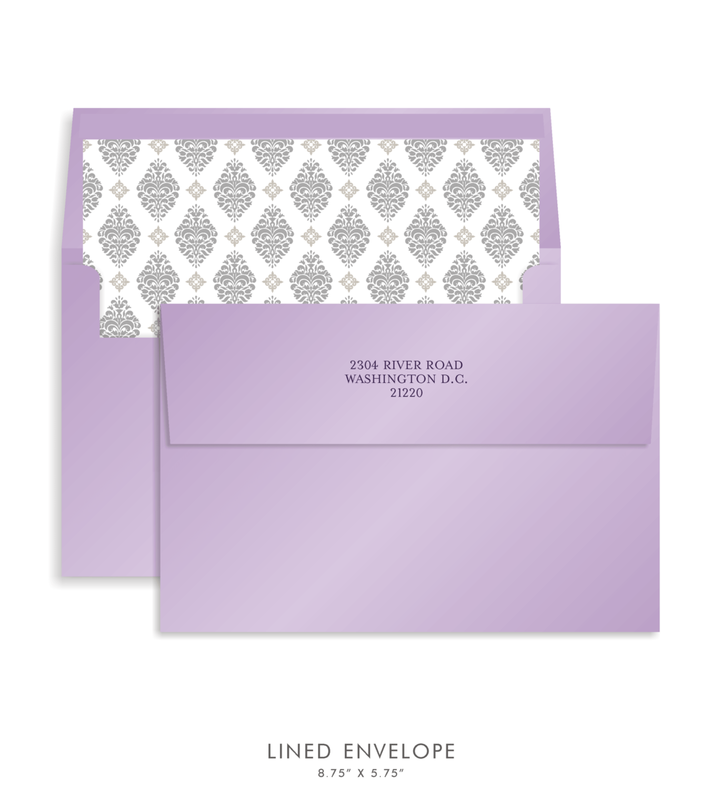 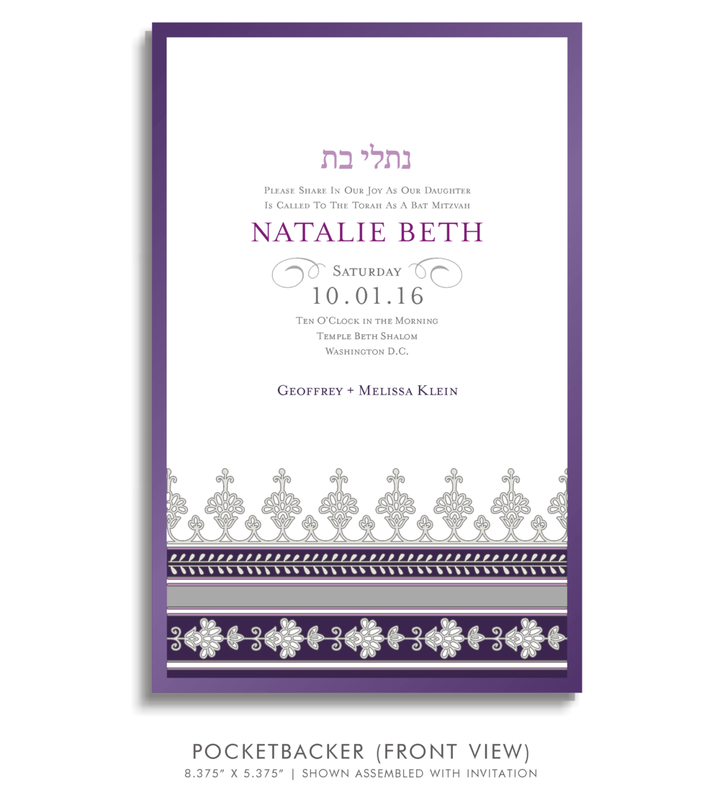 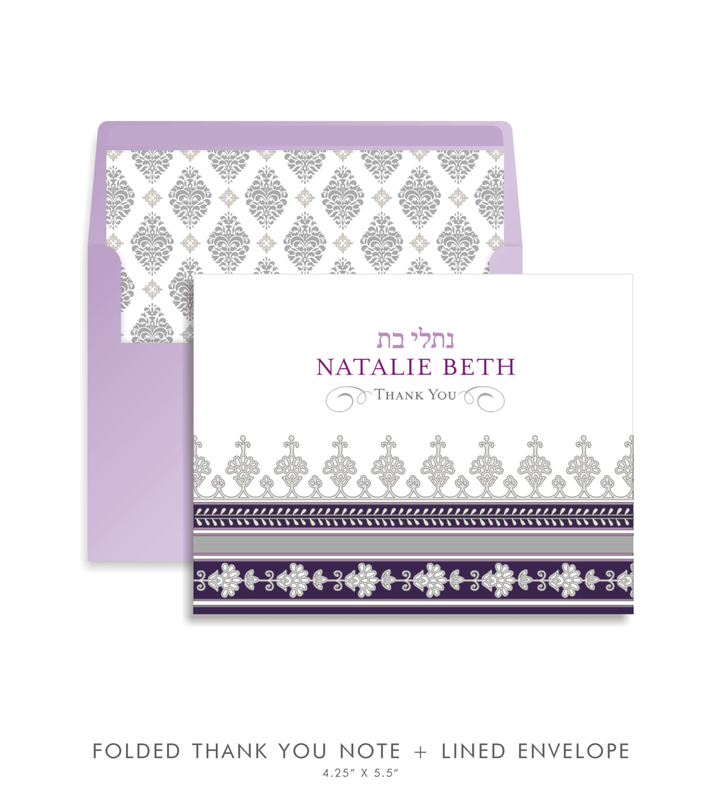 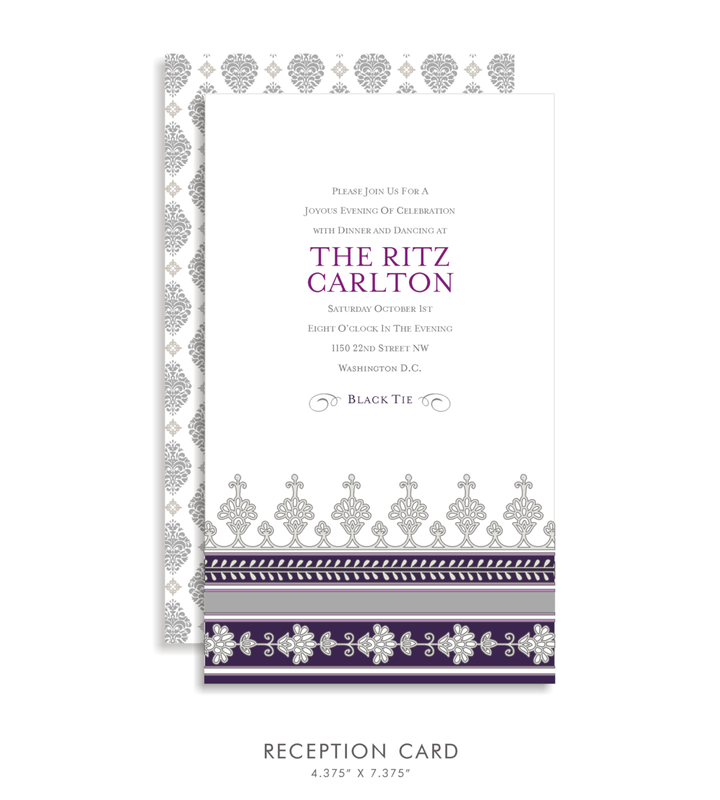 Elegant yet simple, The Natalie Beth Bat Mitzvah Invitation suite is a great choice for your daughter's special day. 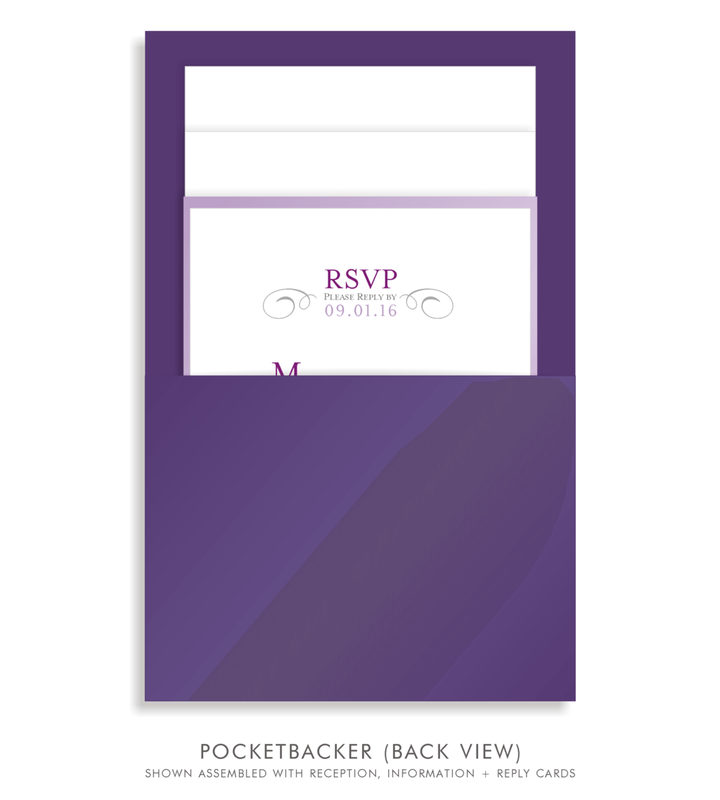 With a touch of purple and florals, this modern invitation will be the talk of the town!